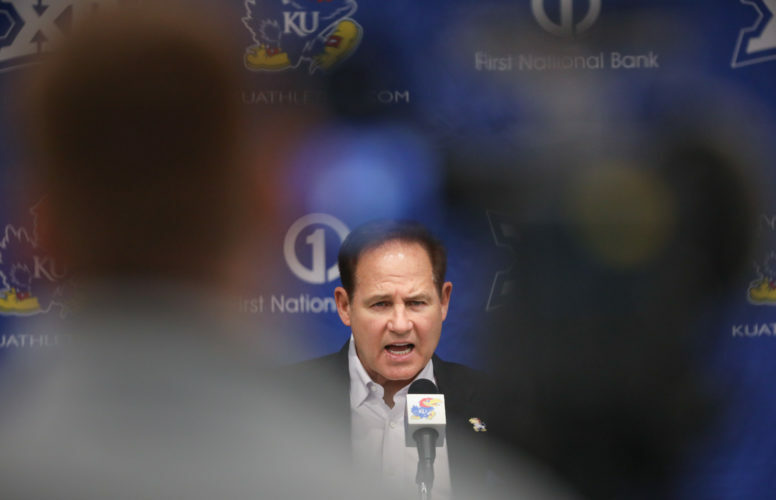 Kansas linebacker Joe Dineen Jr. (29) gives a hug to Kansas head coach David Beaty during the Senior Day ceremonies before kickoff on Friday, Nov. 23, 2018 at Memorial Stadium. Down in Florida this week for Saturday’s East-West Shrine Game, Lawrence native and recent University of Kansas graduate Joe Dineen learned the Senior CLASS Award named him a first-team all-American. 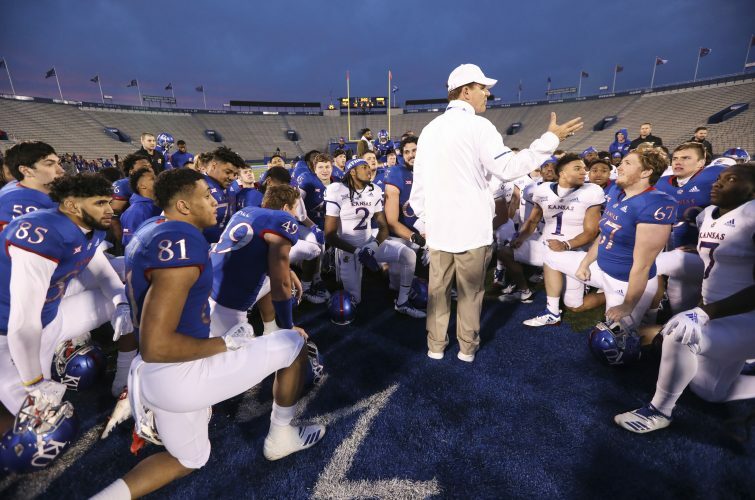 Dineen, a five-year member of the Jayhawks’ football program and an all-Big 12 linebacker, was one of five FBS players in the country given first-team distinction by the Senior CLASS Award, which focuses on the total student-athlete and encourages students to use their platform in athletics to make a positive impact as leaders in their communities. West Virginia quarterback Will Grier won the 2018 Senior CLASS Award, while Alabama tight end Hale Hentges, Kansas State offensive lineman Dalton Risner and Clemson defensive lineman Christian Wilkins joined Dineen and Grier as first-team all-Americans. In order to become a candidate for the Senior Class (Celebrating Loyalty and Achievement for Staying in School) Award, a senior student-athlete has to stand out through contributing to his community, succeeding in the classroom, demonstrating his character and excelling in competition. On the field, Dineen recorded a career-high 147 total tackles as a redshirt senior in 2018, leading the Big 12 for the second year in a row. The Free State High graduate also led the FBS in solo tackles (108) during his final collegiate season. 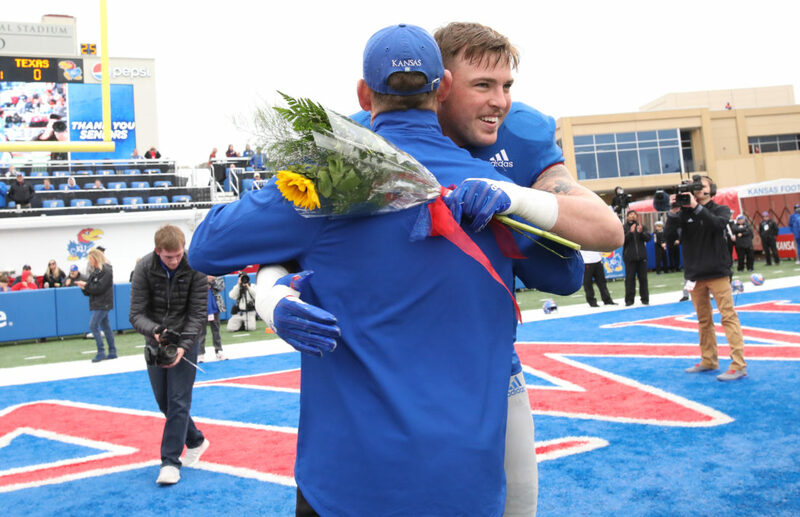 A three-year team captain for KU, Dineen graduated this past May with a bachelor’s degree in management and leadership, with an entrepreneurship concentration. He picked up academic all-Big 12 first team honors in 2018. Dineen served on KU’s Team Impact Leadership Team, mentoring a local youth living with a genetic disorder. 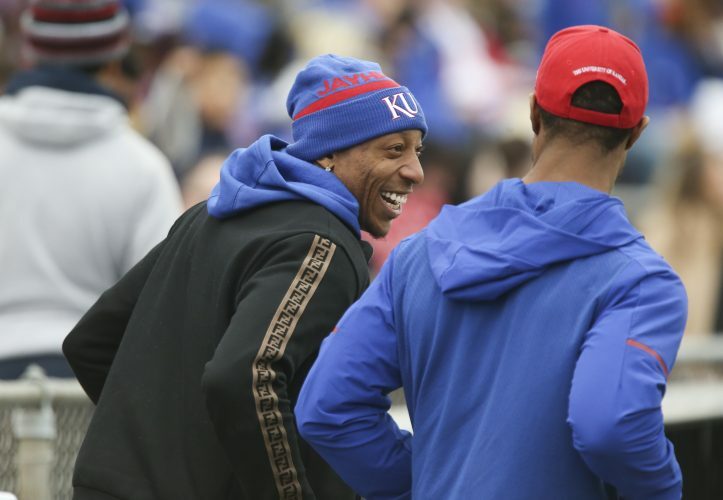 The outgoing linebacker also played a large role in KU football’s elementary school reading program, children’s football clinics, Special Olympics football clinics and feeding the homeless with Just Food. He also grew passionate about raising funds and awareness for childhood cancer research, staying involved with events and activities for that cause in both Lawrence and the Kansas City area. 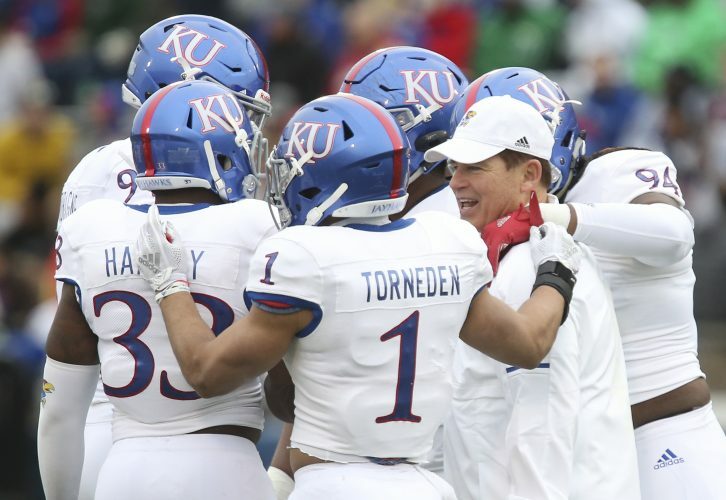 Dineen became KU football’s first Senior CLASS Award honoree since cornerback JaCorey Shepherd earned second-team all-American status in 2014. 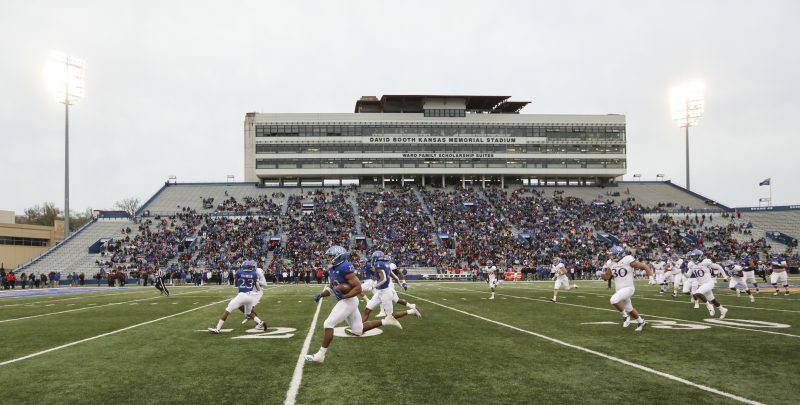 Both Dineen and his KU teammate, Daniel Wise, will play in the East-West Shrine Game at 2 p.m. Saturday (NFL Network), in Tampa, Fla.